Location is a basic property of an object. 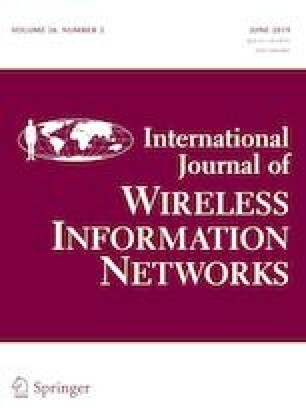 In the last decades, much attention has been paid to the precise localization and performance evaluation in wireless sensor networks. Time-of-arrival (TOA) and inertial measurement unit (IMU) based localization methods have been drawing attentions due to their advantageous performance. However, TOA suffers from the multipath effect and IMU from error accumulation problem, which have limited their application prospects. Thus, the fusion of these two methods becomes necessary. Besides, in existing literatures, when estimating the positioning accuracy, it is generally assumed that the position of base station is error-free, which is not so consistent with reality. Thus, for the purpose of achieving high precision positioning in practical conditions, we modeled the anchor position error, IMU error, and TOA error, respectively. Based on these models, CRLB and PCRLB in 3-D environment are deduced to evaluate positioning accuracy in both spatial and temporal level. Finally, CRLB and PCRLB are considered when different base station topologies are used, as well as compared with commonly used localization algorithms. Experimental results show that the impacts of anchor position error on positioning results cannot be ignored. CRLB and PCRLB can be used as benchmarks based on IMU/TOA fusion positioning systems and as reference lower bounds for performance improvement of localization algorithms. This work is supported by The National Key R&D Program of China, No. 2018YFB0704301, National Natural Science Foundation of China (NSFC) Project Nos. 61671056, 61302065, 61304257, 61402033, Beijing Natural Science Foundation Project No.4152036 and Tianjin Special Program for Science and Technology No. 16ZXCXSF00150.